Long before surnames were used to identify a person, family crest were used. Often these crests were used as decorations on helmets. 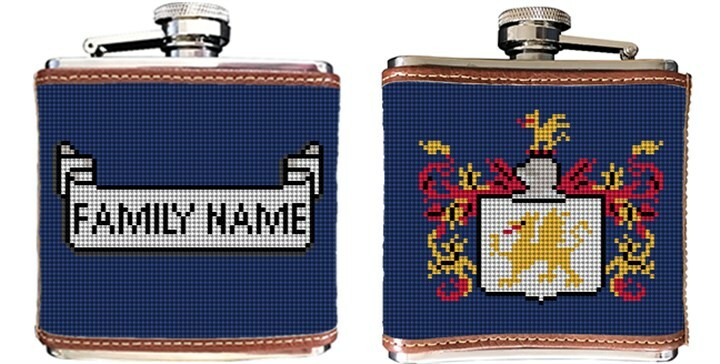 We thought it would be fun for you to needlepoint your very own family crest, creating a one of a kind flask.